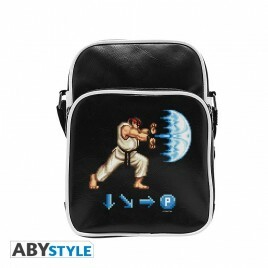 Street Fighter There are 4 products. 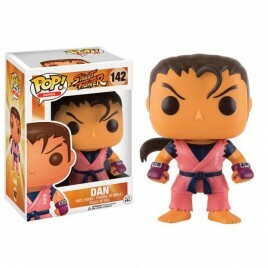 > Funko POP vinyl of Dan. Street Fighter > Size 9cm. 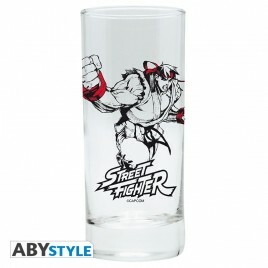 Toast to another Ryu's victory with this Street Fighter glass, by ABYstyle. - High quality glass. - Capacity: 29 cl. - Dishwasher safe: more than 700 cycles in the dishwasher. - Dimensions: Height 14 cm – Diameter 6 cm. 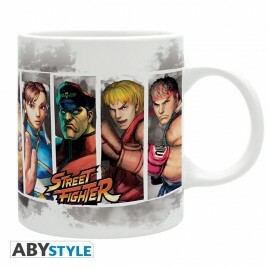 Find the main characters of Street Fighter on this mug and prepare for the fight! - Mug in high quality ceramic. Standard size (320ml) - Packaging : Black window-box. - Dishwasher and micro-wave safe.